I have been trying to sit in front of the computer for the past two weeks and blog about a few tasty meals we have eaten. However, every time I manage to peel the kids from the computer I find an invoice I'd forgotten to write, a quote that needed to be written.....or my mind goes completely blank when I begin to type. While trying to get my mojo happening once again I started flicking through some older posts and it hit me that it has been 5 years since I first started writing my blog! A part of me thinks I had a better voice way back then when live wasn't so hectic (mind you I bet I thought it was hectic with two young kids). Thankfully I have improved on my photo skills, though acknowledge I still have a long way to go! I first started this blog when we lived in Lexington, Virginia. The boys were 2 and 5, and it was back in the days of leisurely baking, vegetable gardens (despite the rabbits always getting to it first!) and cocktails on the front porch. Five years on I have an almost 7 year old and a 10 year old who constantly eat me out of house and home, no veggie garden, barely a cake in the oven and a much smaller kitchen filled with pots, pans and bakeware that could easily feed 100 people in one sitting (I think my husband puts up with a lot). Kim Rahi did a fantastic job of capturing my style and food footprint, then turning it into an online site. Kim and her husband Henry are a fantastic team when it comes to the web and I couldn't recommend them enough. 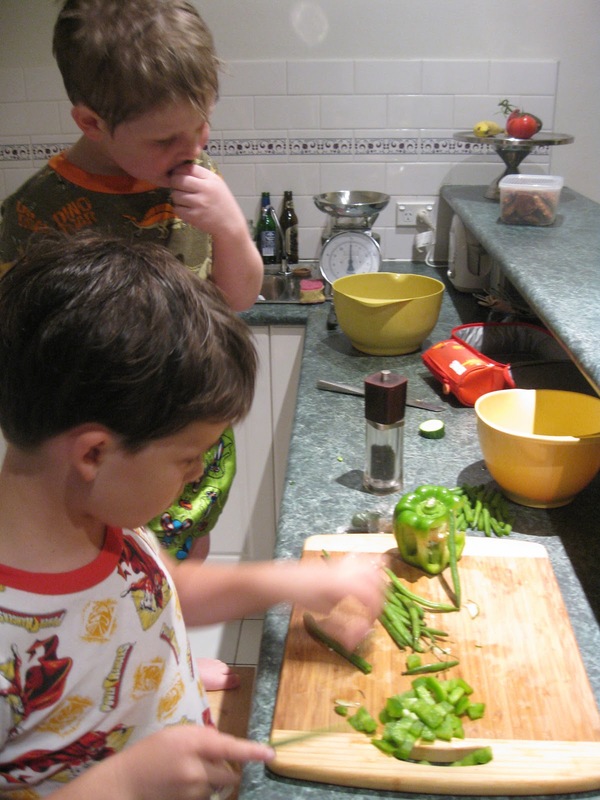 Looking back I can see the cultural changes in my cooking style, I found a few forgotten family favourites recipes I'll be digging up and making again and I have also seen changes in the boys. Seeing them go from no green vegetable passing their lips without a fight to gobbling down a garden salad in 10 seconds flat. Memories I would of forgot if it wasn't for my blogging efforts.